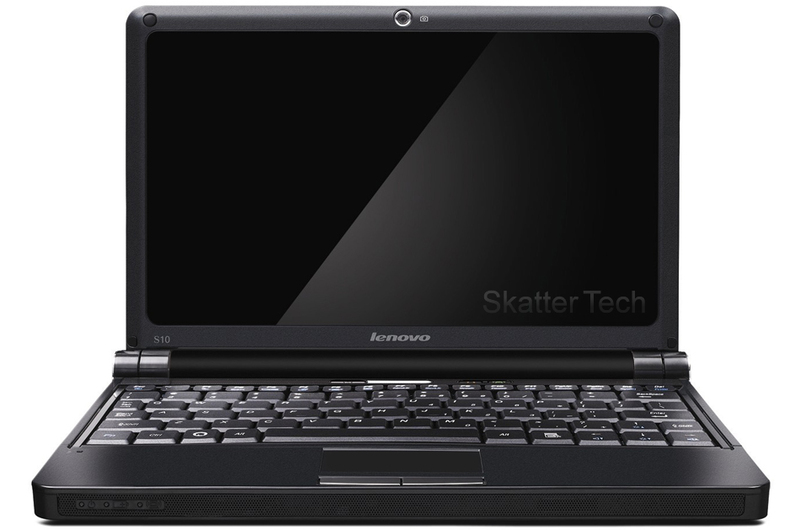 Earlier this month, Lenovo rolled out the IdeaPad S10, an entry-level ultra-portable laptop. The IdeaPad S10 sub-notebook is primarily intended for those getting into computing for the first time and for those seeking a secondary portable laptop. The laptop will allow performing simple tasks such as browsing the web, accessing emails, listening to music, and running basic applications. For college students, this S10 is a great tool to take notes in class and have WiFi internet access when away from their desk especially since it is just an inch thick and weighs approximately 2 pounds. The IdeaPad’s keyboard is about 85% the size of a standard keyboard, so typing won’t be too difficult. The 10 inch display has a 1024×600 pixel resolution making it large enough to view most web pages and since it’s LED backlit, battery life will also be conserved. The laptop has the standard WiFi b/g networks built in, however it also supports use of Mobile Broadband through the Express Card slot. The laptop also features the standard tools such as a microphone, a webcam, a speaker, audio in/out, two USB ports, a 4-in-1 card reader, and a VGA display output. The S10 comes with Windows XP, which is still the most popular OS, so there shouldn’t be any complains. The performance won’t be too slow for basic apps, considering that it is running a 1.6Ghz Intel Atom processor with 512MB of RAM. (Upgradeable to 1GB+) The notebook doesn’t sport a Solid State Drive (SSD), but rather a standard 80GB 5400RPM HDD. Laptop Mag has a video of it booting up in about 35 seconds. The only downside might be battery life. A 3 cell battery apparently provides only 2.5 hours worth of juice. The unit comes in White, Black, and Red with more choices down the road. The laptop has current MSRP of $400 for the current configuration option. Customization will become available later on. Units are expected to reach customers by early to mid-September. As implied in the title, Lenovo is now taking in pre-orders on their website for this notebook. We’ll be trying to get a hold of a unit for review soon, so keep checking back! Dell’s mini-Insprion (aka Inspirion 910) launch seems to be imminent and rumors indicate a $300 starting price point!